George is an alumnus of the University of the Witwatersrand where he pursued his MA and PhD. 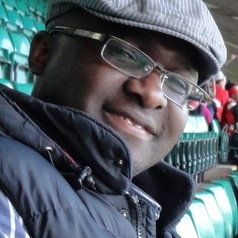 He previously worked as a journalist at the Standard newspaper in Nairobi and as a news and features correspondent for newspapers and magazines based in South Africa and the UK. His research work is interested in understanding the impact of new media technologies on the broader media ecology in the developing world and how they address questions of power and democratisation.